Great marketing gimmick. The book speak-easy! 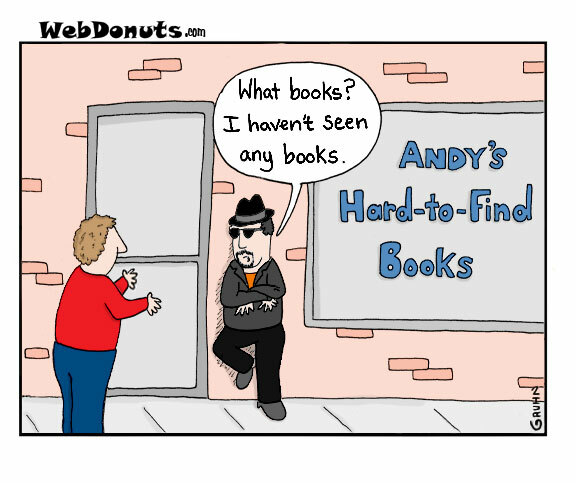 If he asks for a specific book he gets punched! That’s some real truth in advertising! Probably black market books heisted in the middle of the night from millionaire’s exclusive home’s private libraries. And you’d better not see any either!